The majority of fungi recovered at la Draga are polypore and can both grow on dead tree trunks and parasitise living trees. They are non-edible species which have been traditionally used to light fires, and are therefore known as "tinder-fungi". Their woody structure makes them high inflammable and therefore ideal for starting and transporting fire. Among the species used for this purpose there are Daedalea quercina, different kinds of Ganoderma, Coriolopsis gallica and Daldinia concentrica, all of them documented at la Draga. Tinder fungi was used to catch the sparks produced by hitting a siliceous rock against a mineral rich in ferric sulphide such as pyrite or marcasite. 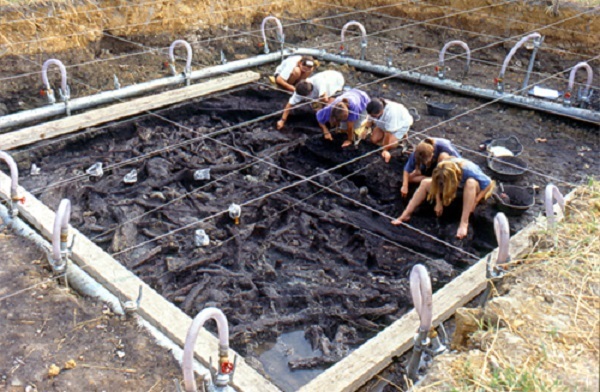 Researchers assure that the discovery makes La Draga an exceptional example for the study of fungi during Prehistory. It is one of the archaeological sites with a higher variety of fungi that has been retrieved till date.